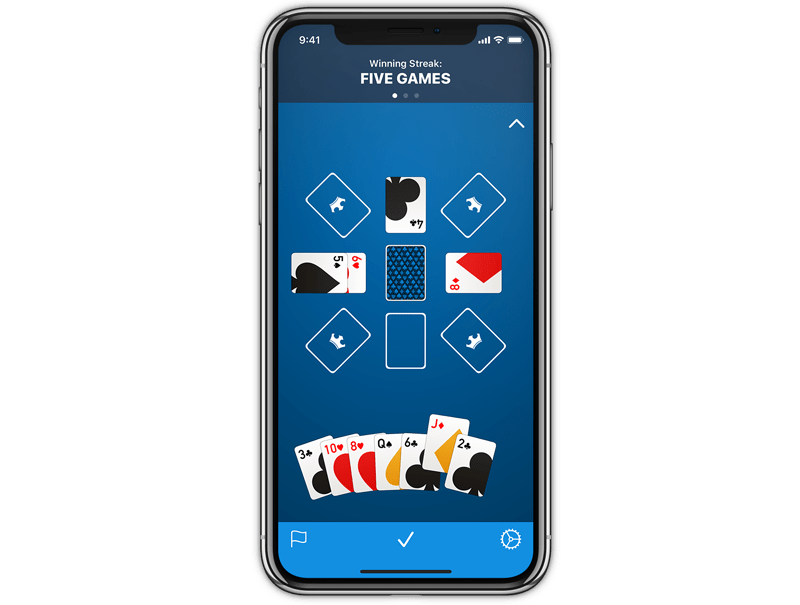 Move over Solitaire, there's a new king of card games! King’s Corner, or Kings in the Corner, is a great game for all ages—easy to pick up and endlessly entertaining. Play on your own with an AI that’s as challenging as you like, play with friends online via Game Center, or in a group with Pass & Play. It’s all the fun with none of the shuffling and dealing. King's Corner brings your game to life with a stunning design and delightful animations that are sure to keep you coming back for more. And, as always, it's fully compatible with VoiceOver, so users with limited or no vision are welcome. Sharing your adventures has never been easier! 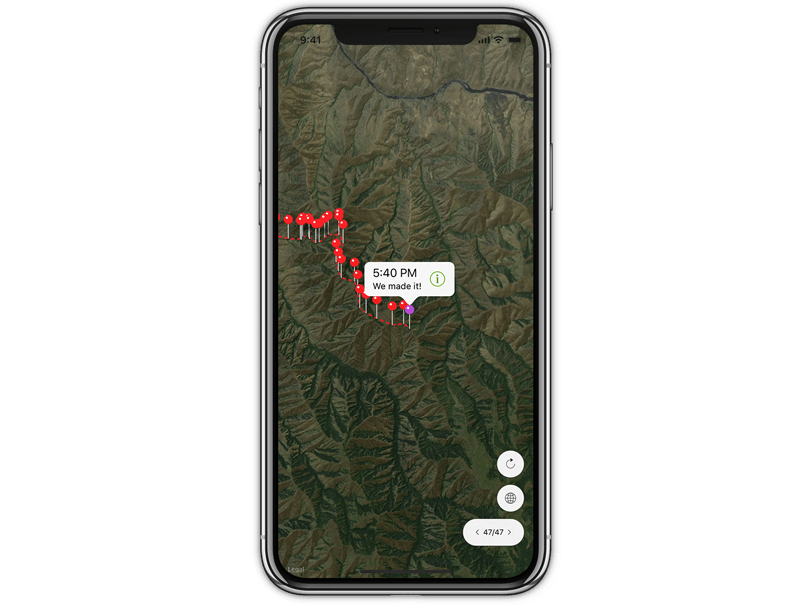 If you’ve got a SPOT™ Satellite GPS Messenger or SPOT™ Personal Tracker, Trail Share is the best way for you (or your friends and family) to view your check-ins and custom messages from just about anywhere. Just set up a shared page at findmespot.com, paste the URL into Trail Share, and you’re ready to go. Trail Share supports multiple devices, password-protected shared pages, and can display your check-ins, custom messages, and tracking points. Start your journey from any point to see leg/total distance traveled, and follow along using satellite, standard, or hybrid map views. 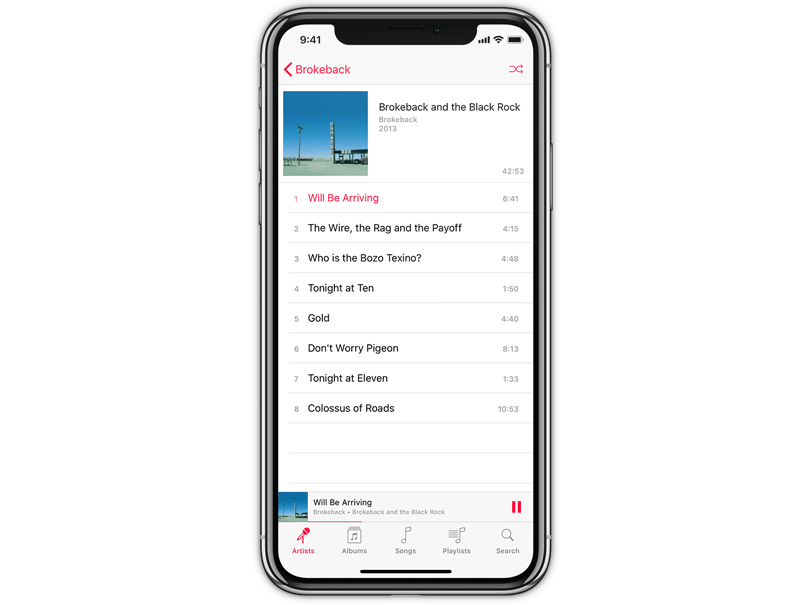 Songs is a different take on the ideal iOS music player. It lets you access your device's shared music library but sticks to the essentials for people who don't use cloud or subscription services. Browse by artist, album, song, or playlist, and leave confusing icons and unnecessary warnings behind. Works perfectly in portrait or landscape orientation, and provides both a traditional light theme and an alternative dark theme that's great for low-light environments. Just you and your music. 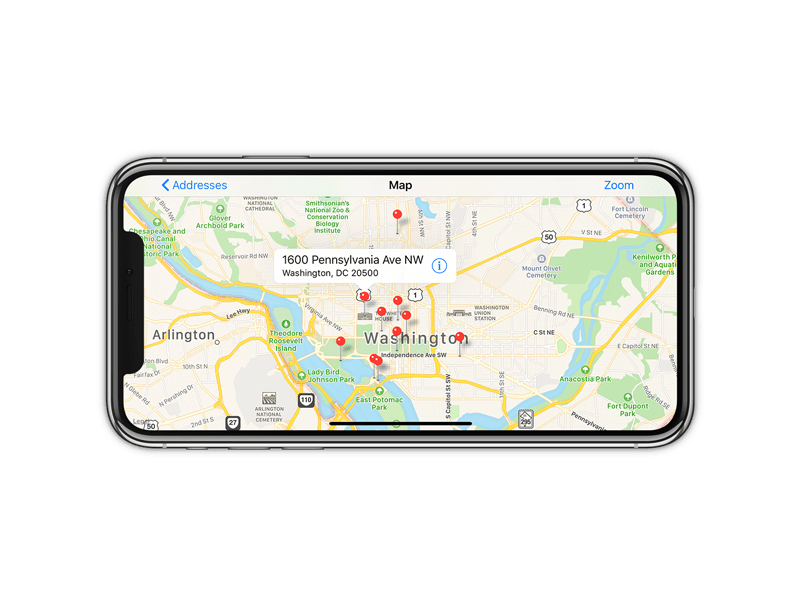 Address Mapper turns your text, webpage, or document into a useful map of locations. From real estate listings to itineraries, it can automatically detect addresses and plot them for you so you can see them all at once. Paste text from the clipboard, supply a website URL, or import text documents from other apps (supports TXT, RTF, DOC, and DOCX files). When a list of addresses just isn't enough, Address Mapper gives you some important perspective so you can quickly get your bearings. 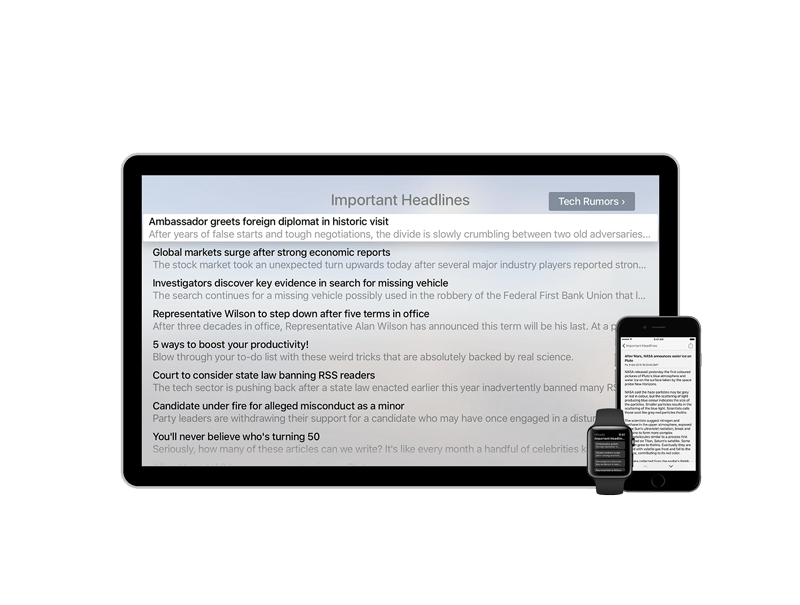 Check your favorite websites and get the latest headlines from just about anywhere with this simple, elegant RSS reader for your pocket, your wrist, and even your TV. Newsroom strips away distractions, giving you a clean, text-only look at what's going on. Newsroom uses iCloud to sync your sites between your devices, so there's no need for a third-party login. Most importantly, Newsroom isn't just another inbox for you to work your way through—there's no unread count, no blue badges, just the content itself. Read what you want, skip what you don't, the end. Available for iOS, Apple TV, and Apple Watch. * Trail Share works exclusively with SPOT™ tracking devices which require a service contract and are sold separately. Please visit findmespot.com for the latest information. SPOT™, SPOT™ Satellite GPS Messenger, and SPOT™ Personal Tracker are registered trademarks of SPOT LLC. © 2011 BITPRESS, LLC. All Rights Reserved.